NO vehicle-related fatality report allowed by police today, despite at least six serious crashes that have been reported locally. Phillip Loving (known as Andy), an American living in Queenstown, was crushed to death by a truck near his home on Monday. Loving and his wife, Penny, ran Station Imports, a company exporting New Zealand wines to the United States, said a report. They closed down the business after 16 years to “pursue new adventures”, according to a newsletter released on the Internet. A 19-year-old who was critically injured and flown to Dunedin Hospital was reportedly in the intensive care unit on Monday night. Do we really have an ethical judge in New Zealand? 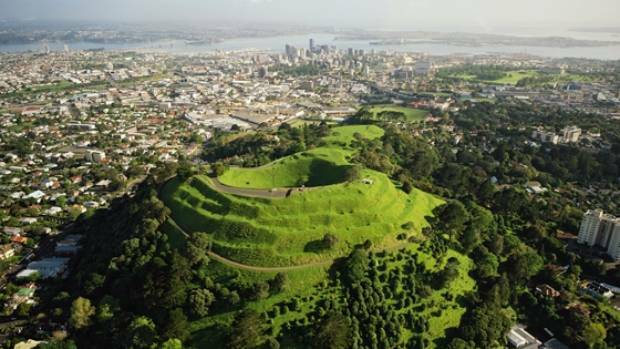 About 1.7 million people, and as many as half million tourists at any one time, occupy Auckland, which is built on one of the densest volcanic fields in the world, with about 59 vents dotted around the city. Image: Auckland Council/ via stuff nz. You say significant and we say ____. It looks as if we two will never be one, and there’s nothing that can be done. Better call the whole thing off. Pater, mater Uncle, auntie let’s call the whole thing off. This entry was posted on April 12, 2017 at 2:01 am	and is filed under Tourist Deathtrap. Tagged: Auckland, Auckland volcanic field, ethical judge, Justice Cameron Mander, nz police, Phillip Loving, Stupid. You can follow any responses to this entry through the RSS 2.0 feed. You can leave a response, or trackback from your own site.